It has been proven that companies who have conferences with their employees help inspire them and motivate them to come up with new ideas and new possibilities of what they can change within the company. Bongela Private Game Lodge can help your organisation create that goal, with a . . .
Bongela also delivers the perfect setting for any other corporate events such as year-end functions, team building and award ceremonies. We believe this is a perfect venue for a company to host a corporate event because of its ideal setting just a mere two hour drive from Pretoria or Johannesburg, not too far out of the city but still contributing to the feeling of the bushveld. 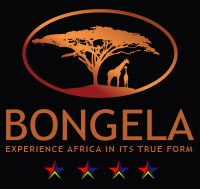 Bongela offers a variety of corporate packages that will suit your personal needs to help make your experience at Bongela Private Game Lodge the best you will ever have.